New! Dreamy Dress-Up made just for dolls! 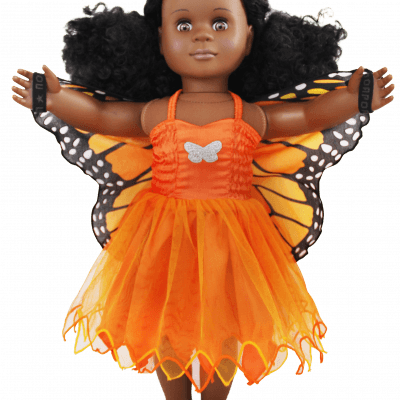 Outfit your favorite doll in one of the fanciful costume fly-away dresses! 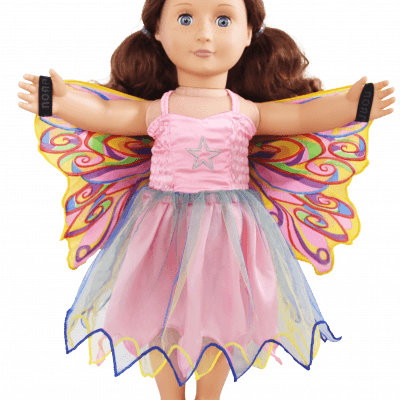 These doll costumes are one piece dresses with wings attached – just like the human version! 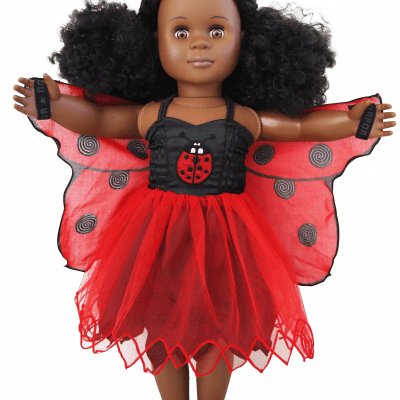 Now your doll can dress-up just like you! 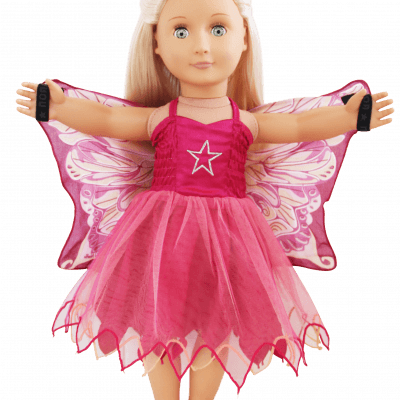 Doll dresses fit dolls 18″ or 46 cm.